It’s an unsettling thought and would probably cause you to ask your surgeon to “STOP” immediately! When my youngest daughter was born four years ago, we ended up in the operating room for an unexpected c-section. I was already terrified at my first major surgery, but I at least took comfort in knowing that I was in the hands of a competent crew and in a sterile environment. This was not the case a hundred years ago, when “germ theory” was a relatively new idea. Amazingly, during the World War I era, many surgeons operated in street clothes and without washing their hands! A simple surgical procedure could have unintended and devastating consequences. During the later part of the 19th century, Johnson & Johnson pioneered seemingly small changes to public perception and procedure that had a HUGE impact on lowering the spread of diseases as well as our country’s mortality rate. Founded in 1886, Johnson & Johnson may have been a young company, but they were at the forefront of researching germs and how to prevent their spread, as well as how to better educate the public. In previous centuries, even the most educated doctors and surgeons didn’t all understand the connection between hygiene and the spread of disease. During the World War I era, Johnson & Johnson created and marketed sterile surgical products which dramatically lowered the chances of spreading infectious diseases through surgery. 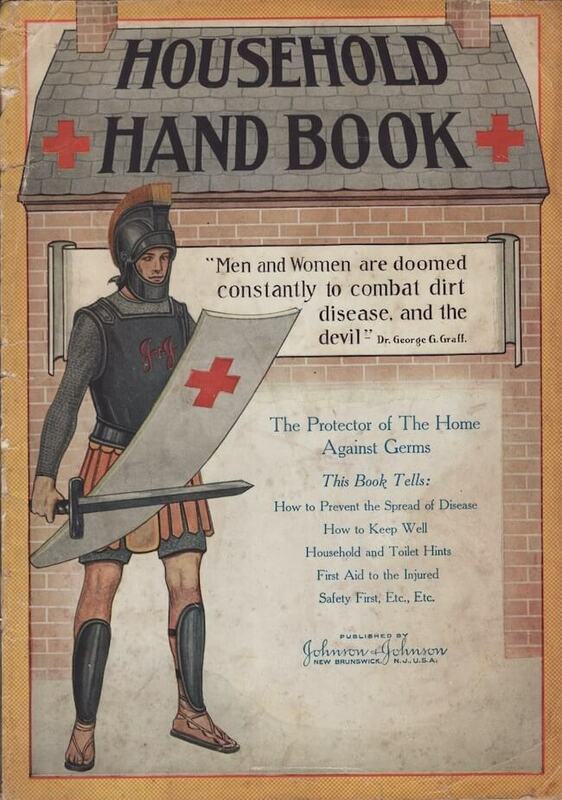 In addition to educating doctors, in 1916, Johnson & Johnson published the Household Hand Book, aimed at improving the general public’s knowledge about how disease spreads. The influenza pandemic of 1918 took the lives of an estimated 50 million people worldwide, with the number of deaths topping 600,000 in the United States. 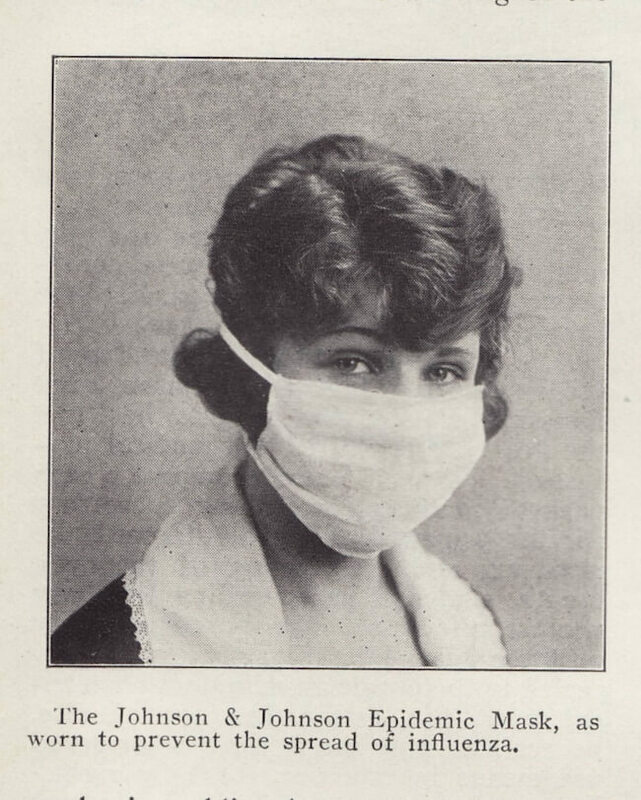 To combat the devastating virus, Johnson & Johnson introduced the Epidemic Mask. Made from sterile gauze, the mask successfully prevented the flu, and is a major reason that the death toll in the United States was relatively low compared to the rest of the world. In fact, the Epidemic Mask was so effective that it was used in later outbreaks to keep them from reaching pandemic status. Today there are parts of the world that still see rates of infectious disease similar to the United States at the turn of the 20th century. That’s why Johnson & Johnson continues to strive to reach more communities to help people all over the world live longer, healthier lives. Through its Janssen Pharmaceutical Companies, Johnson & Johnson helps to develop lifesaving medicines to fight diseases like tuberculosis (TB), HIV, Ebola, and Zika. They also partner with health organizations to get those medications to the people who need them most, in all corners of the world. Watch the video below, then visit ourstory.jnj.com to learn about more Johnson & Johnson public health innovations and how they continue to improve life for all of the world’s citizens. 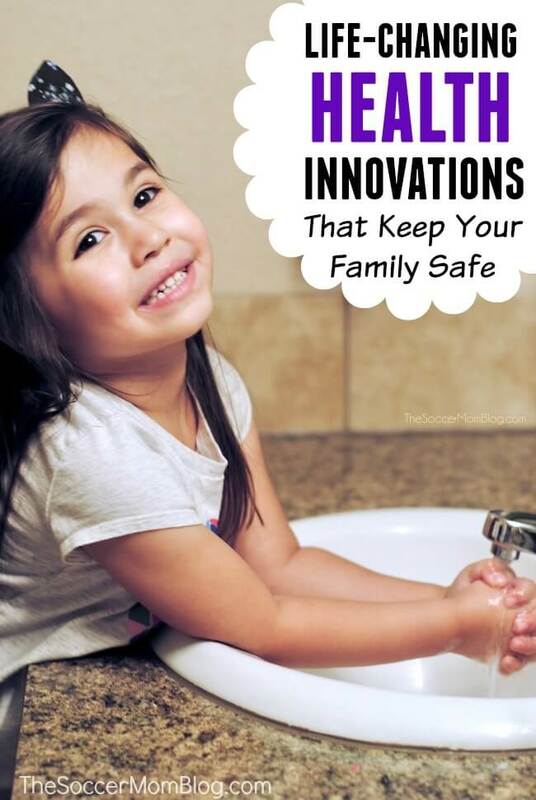 Click here to read more about 10 Milestones in Women’s Health to Teach Your Daughter and 6 Health Inventions that Changed Daily Life Forever.